I’ve been fortunate to have the opportunity to contribute guest posts to other web sites, as well as being interviewed and presenting via webinar. Here are my some of my external media appearances. Enjoy! From August, 2016 through November, 2017, I had the privilege of contributing content to U.S. News’ On Retirement blog. Click here to read the articles I contributed to that website. I’m eternally grateful to Mark McNease, editor/publisher of lgbtSr.org, for his encouragement and acceptance of quite a few of my articles for his site. lgbtSr is a site that embraces age and celebrates life over 50, with all the ups and downs of living long enough to tell about it. On this site you’ll find news, interviews, opinion, the occasional insight, and a thing or two to hold up to the light. Click here to read some of the articles I have written for that site. Mark McNease is an accomplished author of gay-themed murder/mystery novels and more. Visit markmcnease.com to discover his work. Mark also did a great job as editor my two books. 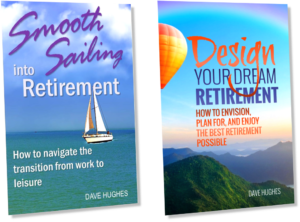 In January, 2018, I was delighted to join Mark on his podcast, “Live Mic with Mark McNease.” Mark and I discuss my new book, Smooth Sailing into Retirement (which Mark edited), what’s ahead for Retire Fabulously! in 2018, as well as how our own retirement journeys are unfolding. You can enjoy the podcast here. Here is a “Six Questions” print interview Mark did with me in November, 2015, coinciding with the release of my first book. Here is another “Six Questions” interview from October, 2018. Ted, Roy, and I discuss why you should curate your retirement, retirement personality types, and everything that will change when you leave your job and enter retirement. Then we sample and share our impressions of Sierra Nevada’s Hazy Little Thing IPA. Click here to listen! Ted and I discuss the role that visualization plays in shaping retirement, early retirement, and the value of using a financial adviser in this podcast. 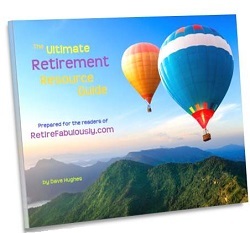 Kathe and I discuss the reasons why I started and continue to develop Retire Fabulously!, as well as the unique issues LGBT people face as they approach retirement. Listen here! 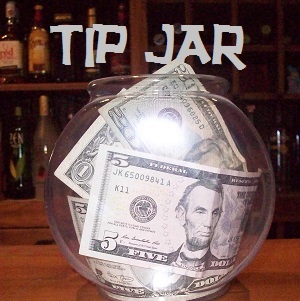 TopRetirements.com is the go-to website for learning about great places to retire. Read my guest post Ten Great Places to Retire for LGBT People – and Everyone! Regardless of your age, here are five steps you can take to bring more meaning and enjoyment to your life today, while setting the stage for a terrific tomorrow.